At times this website looks like it’s inactive, but one thing you should know about me is that I almost always finish what I start. 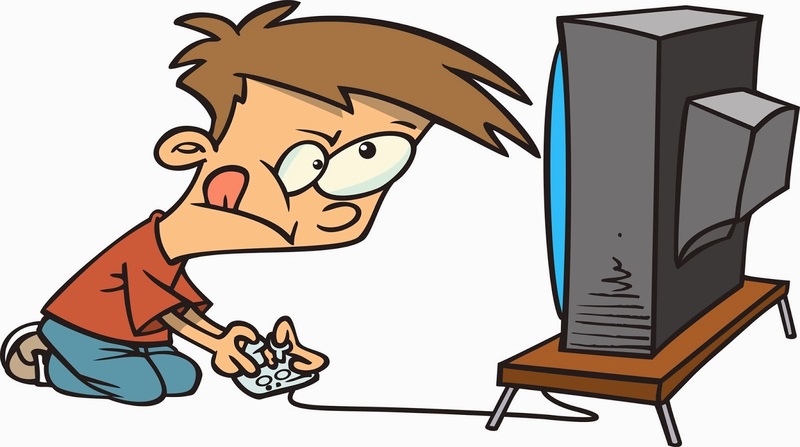 While I do intend on finishing my writing about the video games I have completed, I don’t follow a set schedule, so there may be months at a time when I don’t post an update. But you knew that already! When I last left off, the Random Number Generator was showing an unusual preference for Wario games. It chose a Wario game that I finished recently. I finished the game because I had been writing so much about Wario on this site, so maybe the Random Number Generator’s tendency towards Wario games isn’t so strange after all. 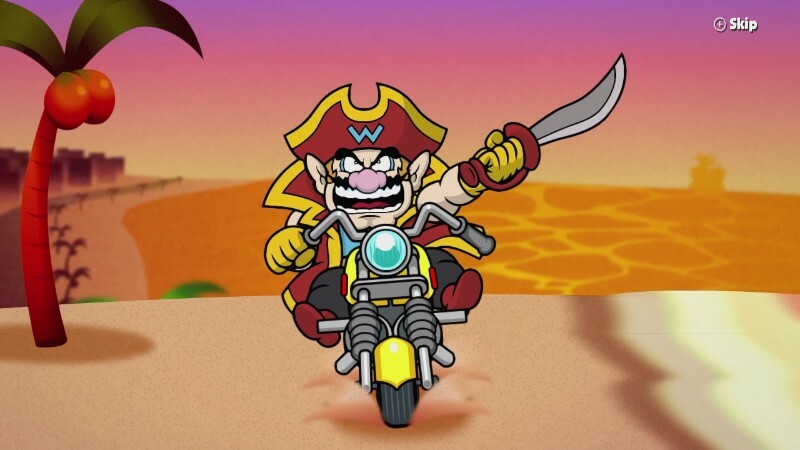 At some point though, I’ll be out of Wario games to write about. 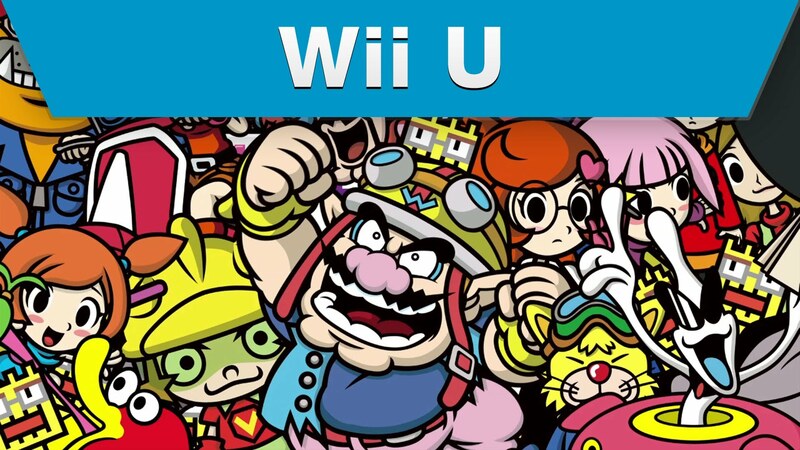 Game and Wario seems to be WarioWare’s representation on the Nintendo Wii U gaming system. 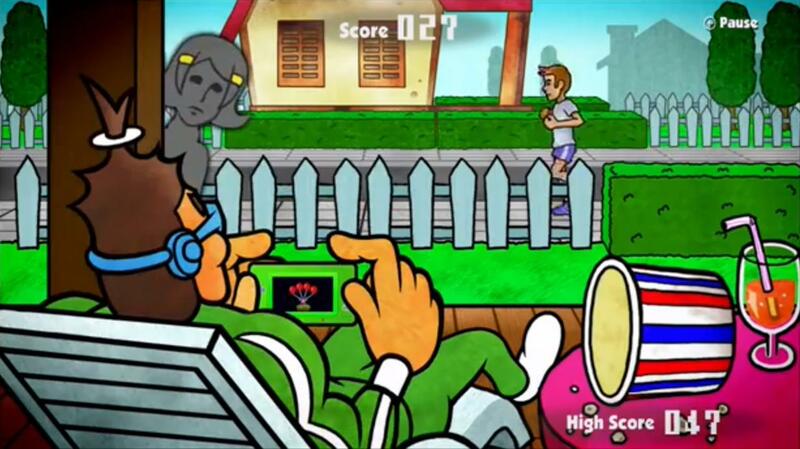 It’s not a proper WarioWare game though. 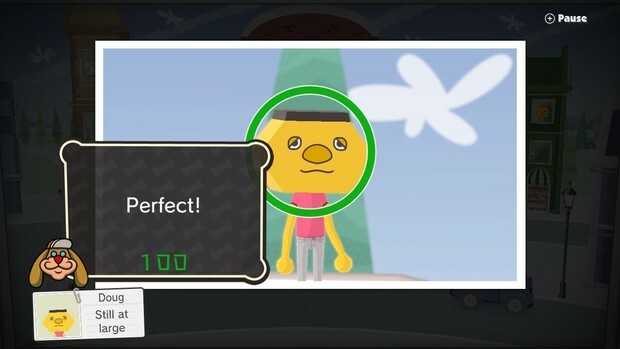 Instead of consisting of hundreds of Microgames that the player plays through in rapid succession, it’s a handful of minigames, each one creatively taking advantage of the Wii U’s unique features. 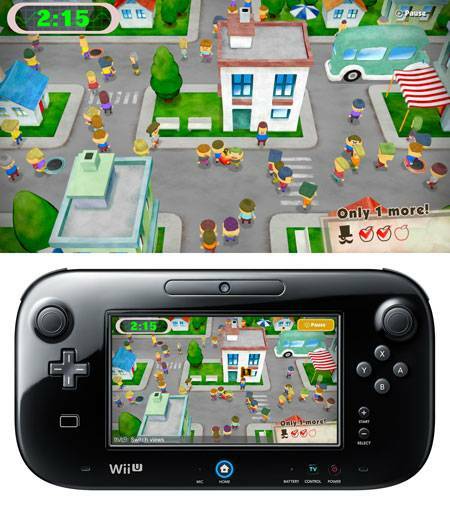 In fact, what I found out about this game is that a few of the minigames featured in this game started out as simple demos for the Wii U system back at the E3 conference when the Wii U was announced. 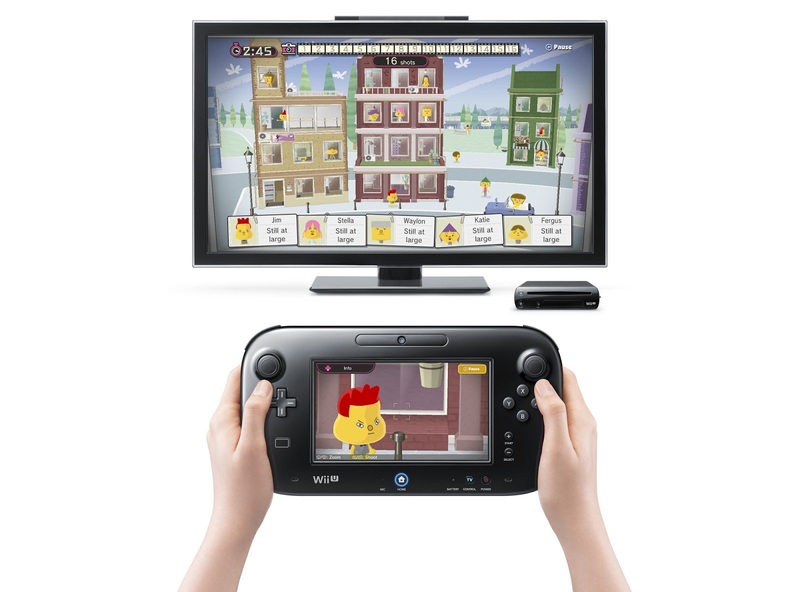 They demonstrated the unique gameplay potential of the interplay between having the Gamepad controller and a TV screen working together. 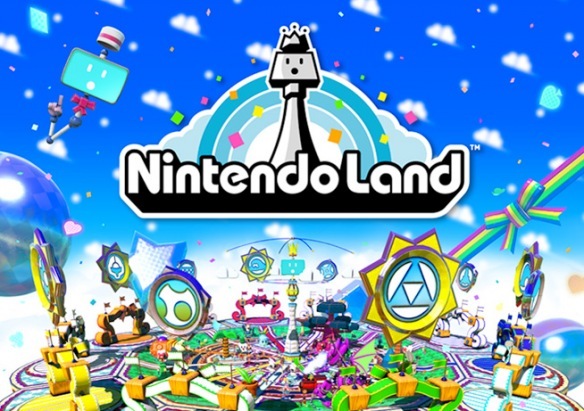 Apparently, those minigames from E3 were going to be included with every Wii U but then they decided to turn them into a Wario game and give us NintendoLand instead. I should go back and play more of this. It was good. 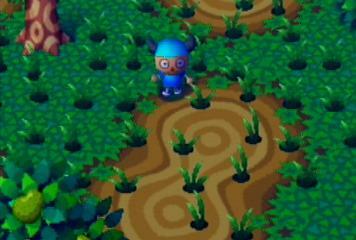 Each minigame is its own experience, so I’ll quickly run through them and my thoughts about each one. 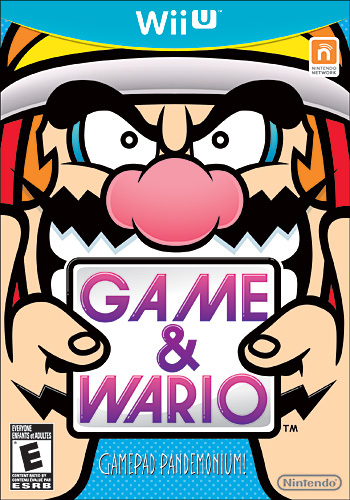 Noses are a recurring theme in Wario games. Arrow is the first game you play in the story. Essentially it’s a game about fighting an onslaught of enemies with arrows controlled in part by the touchscreen and also via the tilt sensors in the Gamepad. 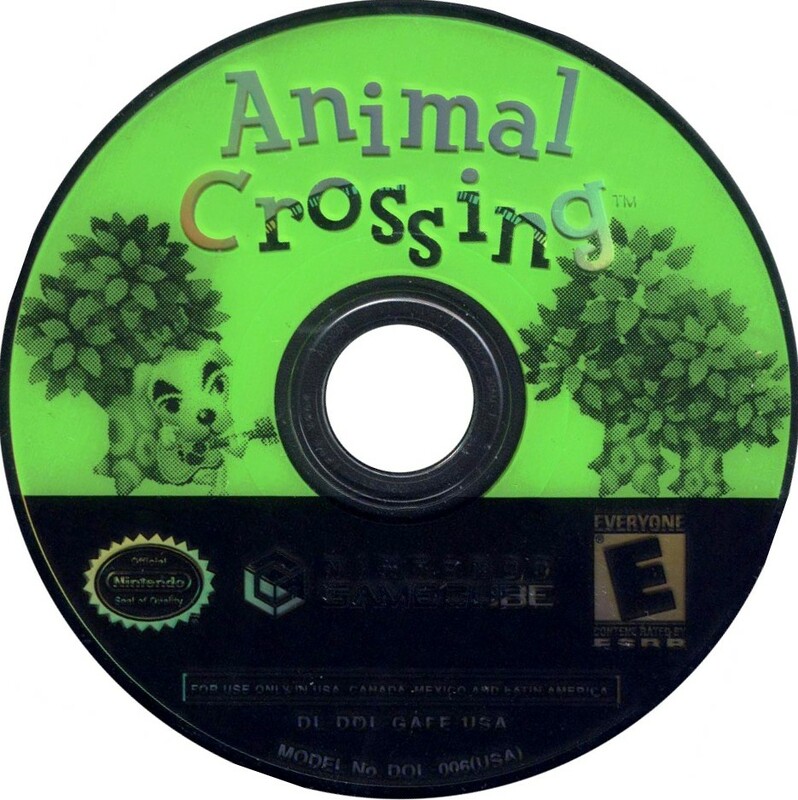 I remember it’s a bit hard to control, and it wasn’t my favorite minigame, but I got through all the difficulty levels after clearing it the first time. Shutter is an interesting game about taking photos. 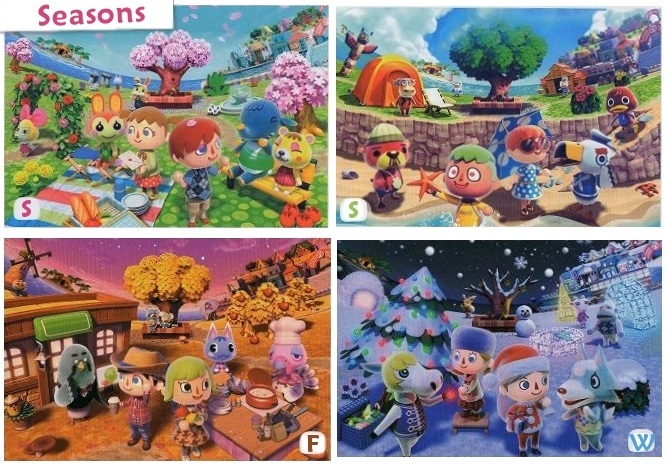 The top screen shows a confusing “Where’s Waldo-esque” environment with targets hiding there who you are told to photograph. 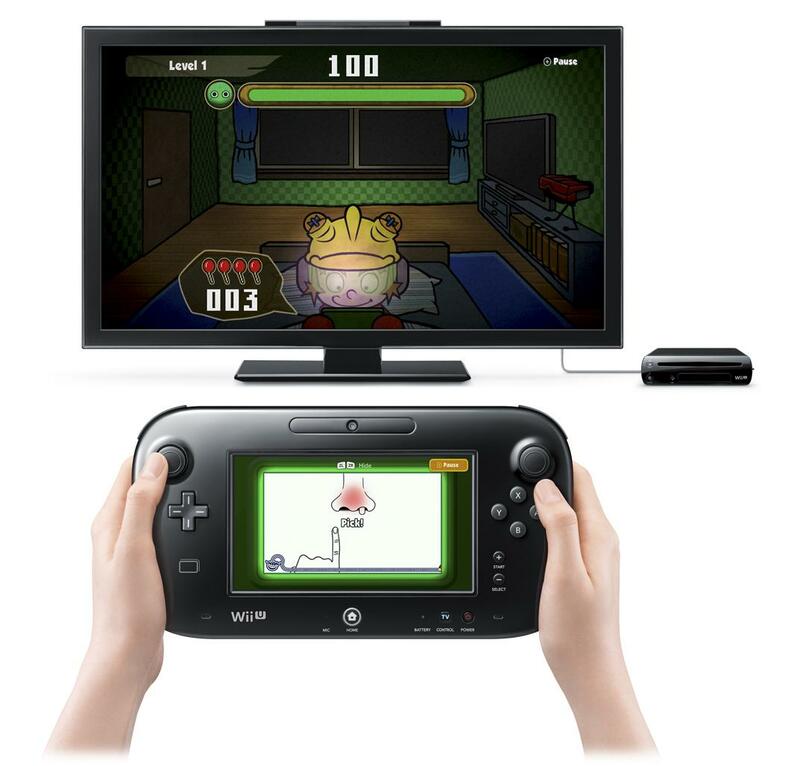 The Gamepad works as your camera, which you aim at different parts of the TV to see a zoomed in window of the environment. You have to pay attention to both screens to find your target and take a photo of them. 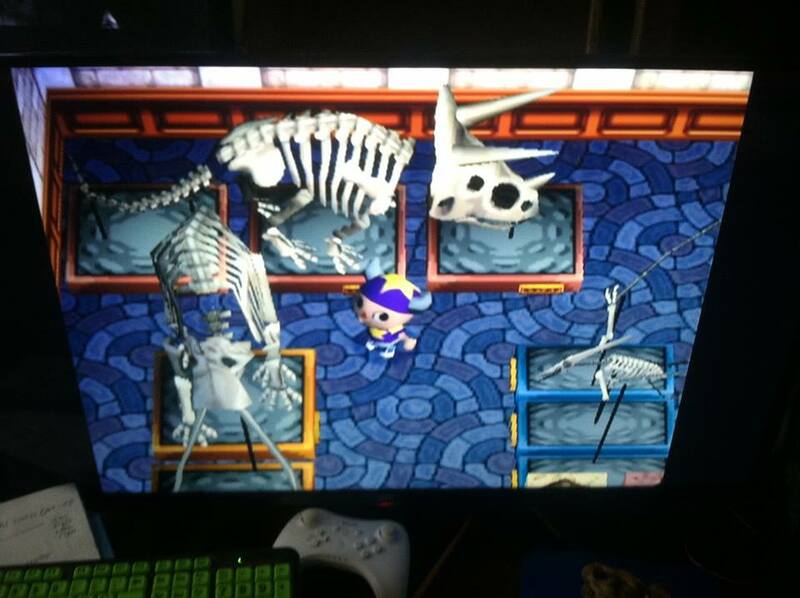 You get various amounts of points based on things like the size of the subject in the frame and if they are facing the camera or not, which reminds me of the photo scoring system in an older game I played called Pokémon Snap. How’s the size? How’s the pose? Wonderful! 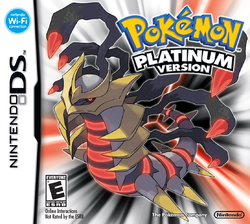 There are a few level scenarios for this game with different premises but the same sort of gameplay where you need to pay attention to both screens to do well. I liked it. Ski is a funny game where you play as Jimmy T and ski down a mountain using tilt controls. 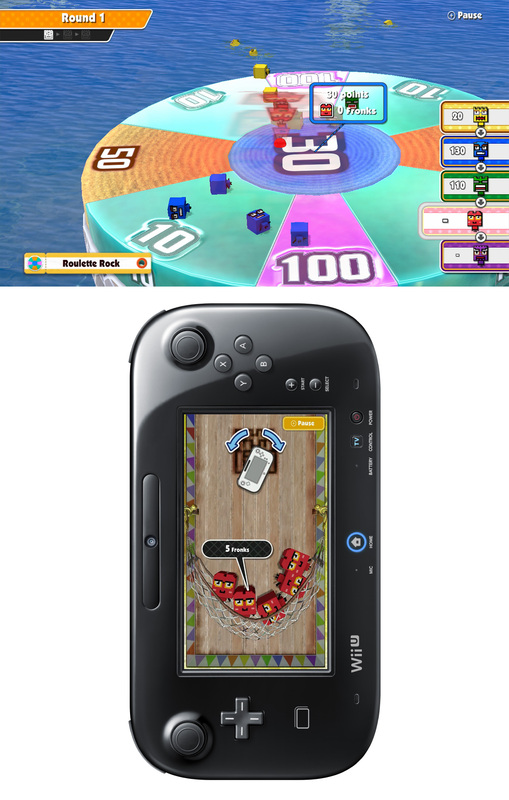 The bottom screen shows the elements important to the gameplay while the top screen is more cinematic. 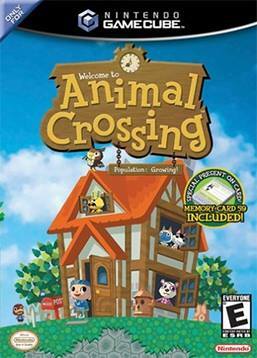 I liked this game too, but there wasn’t much to it. 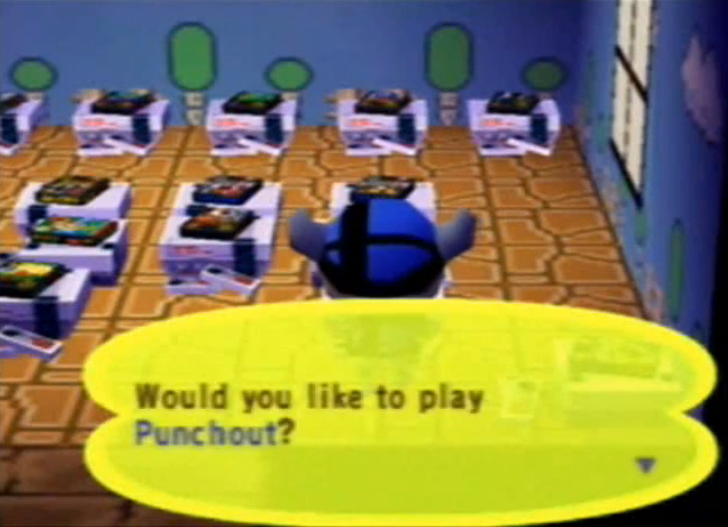 Patchwork is oddly my favorite of the minigames in Game and Wario. It is a simple puzzle game where you fit pieces together to make a picture of an object. 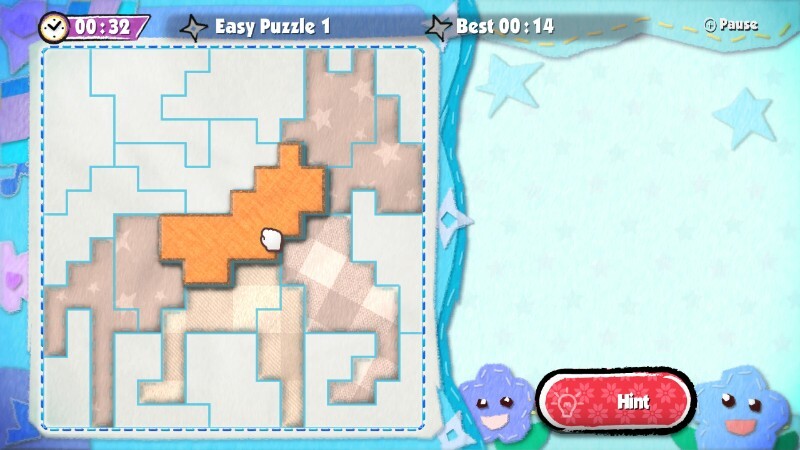 To pass the game for the first time, you only need to complete 1 puzzle, but then there are many more of them available to solve if you want to. 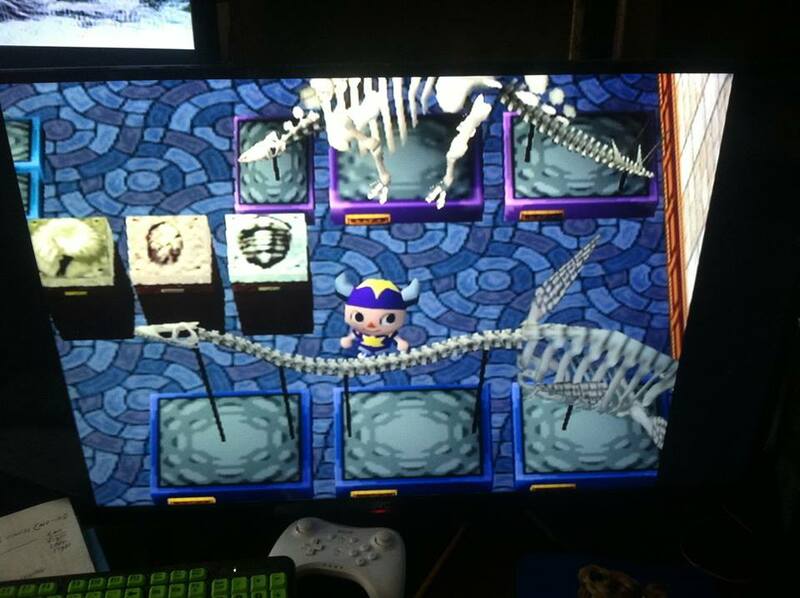 As soon as I got to this minigame, I just focused on completing all the extra puzzles. The game is controlled with the touch screen of the Gamepad where you simply drag and drop segments of the puzzle onto outlines that perfectly match the pieces. 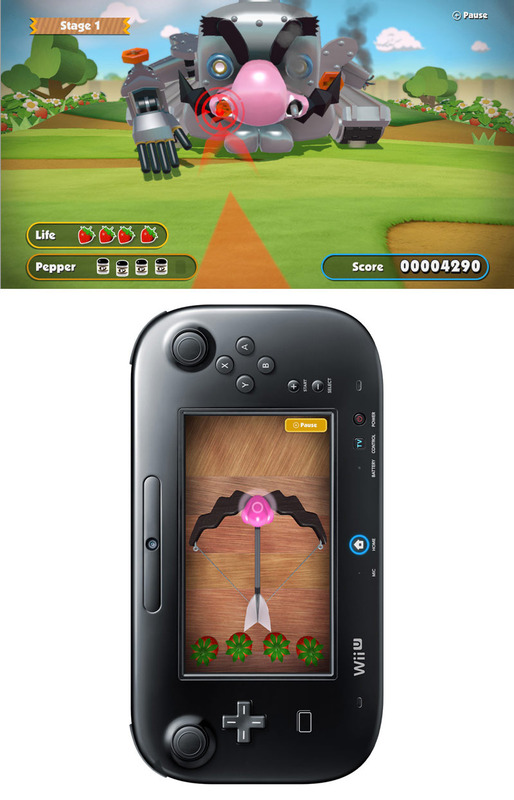 The same visual is displayed on both the TV and the Gamepad, so people sitting on the couch could help identify possible solutions. It became more of a group activity when I played it among my friends. 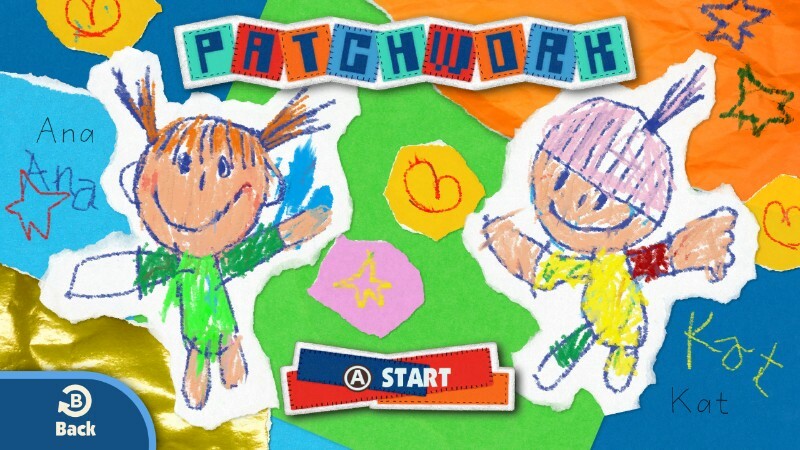 I felt that the music for Patchwork has a peculiar quality that brings about the feeling of nostalgia. I think it’s weird that I would be feeling nostalgia for a song I never heard before, but that’s what happened. I think this song from Pokémon Gold and Silver has a similar quality, but then again, I have heard the song before, so it makes sense that it would feel nostalgic. 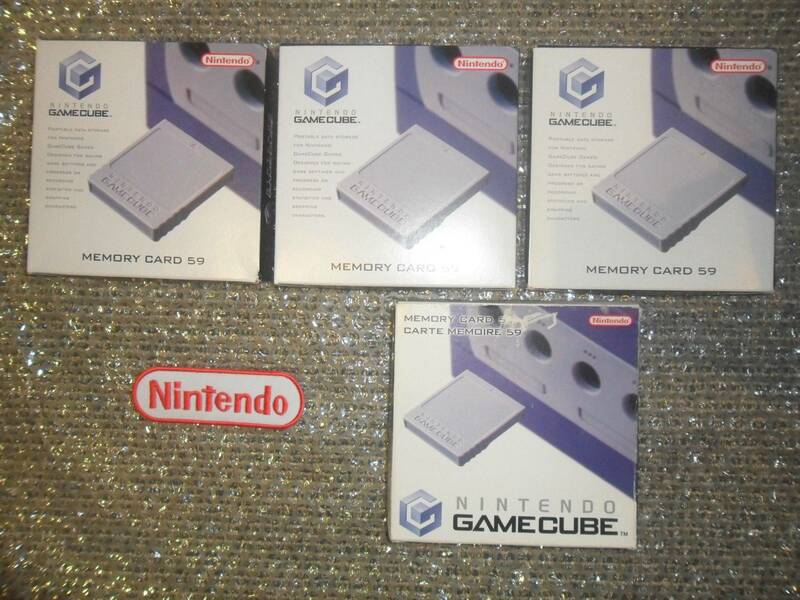 Nostalgia is weird, but good. Kung Fu is a game about jumping. 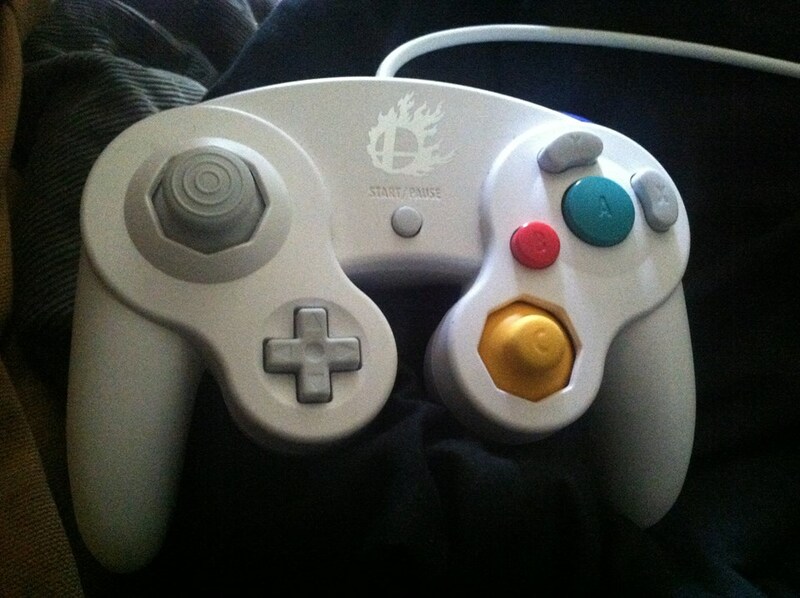 It uses the tilt controls of the Gamepad and a few buttons. 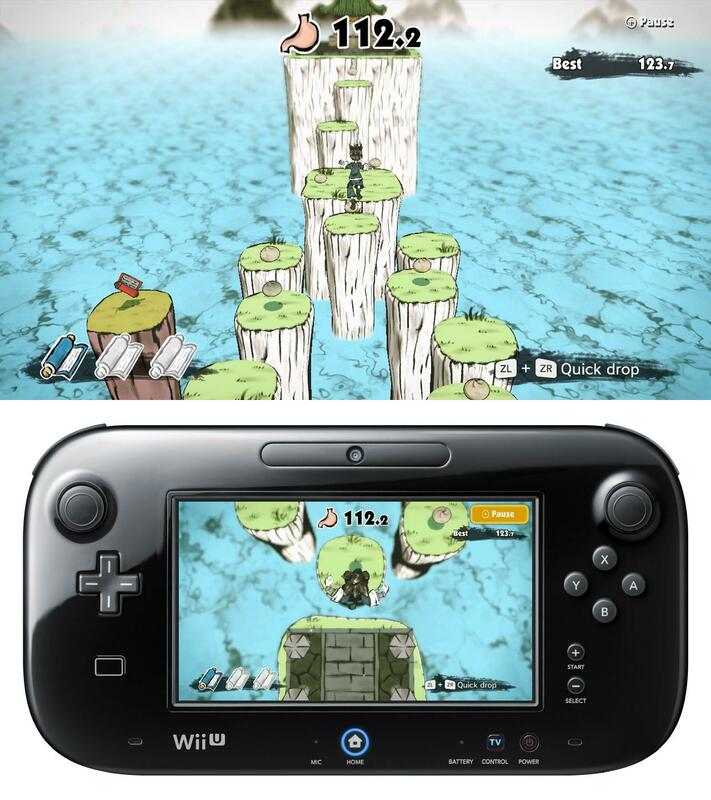 The TV shows an area full of cliffs that you must traverse, but the distance between platforms from the TV’s perspective can be ambiguous, while the Gamepad’s view is straight down so that you can make precise landings. 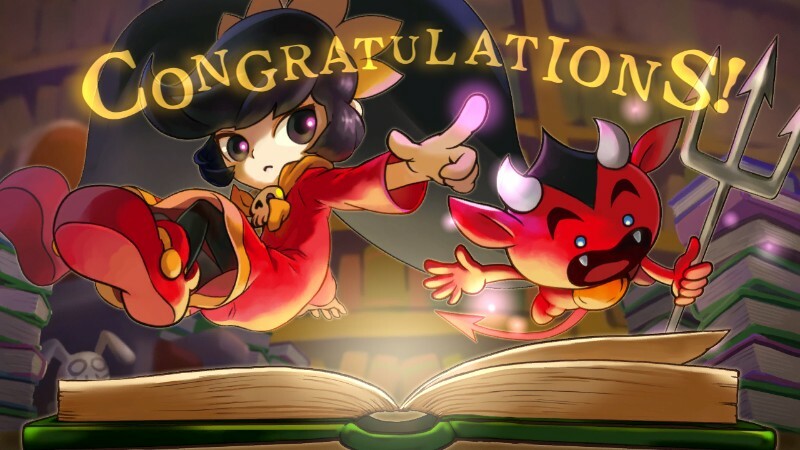 The objective is to find all 3 scrolls per level and there’s a few levels. It was pretty good but didn’t take too long to finish. 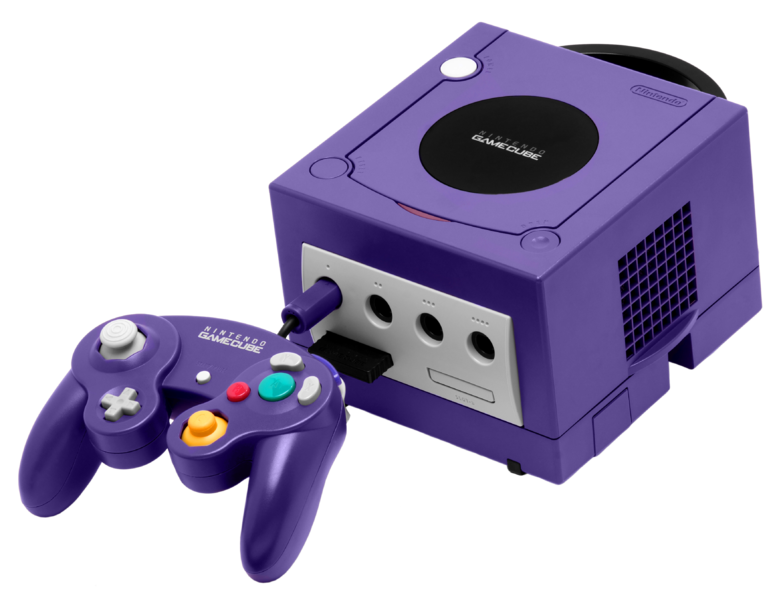 Gamer is the coolest minigame in Game and Wario. 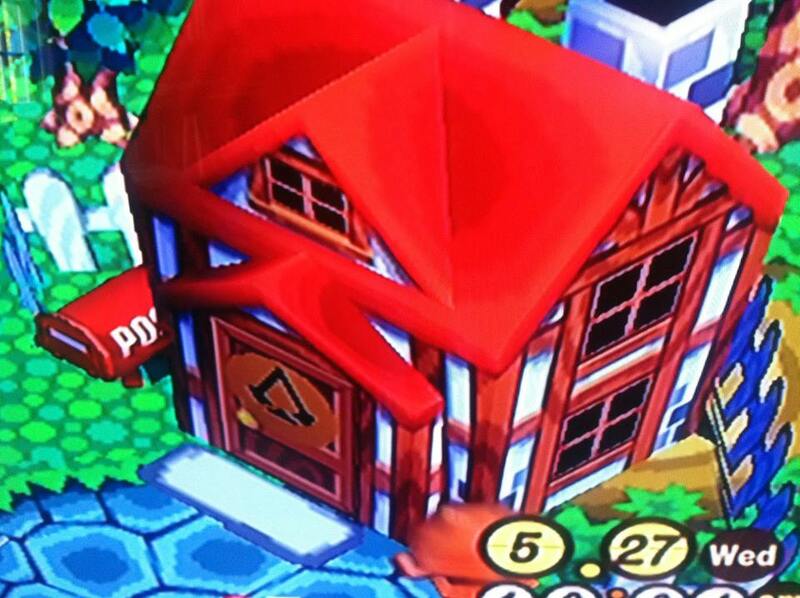 It’s even featured as a stage in Super Smash Brothers 4 Wii U. 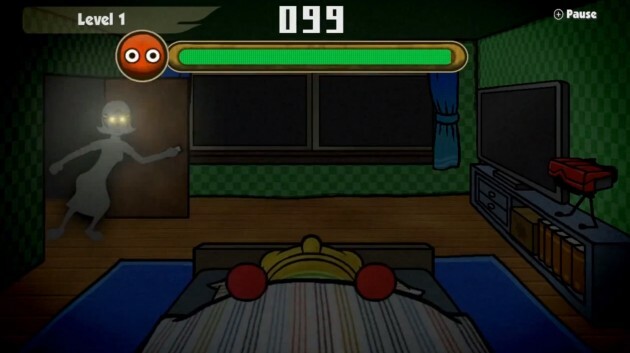 The premise is that the character 9-Volt is supposed to go to bed, but he wants to play the original WarioWare for the Game Boy Advanced instead of going to sleep. The only problem is that his mom 5-Volt is creeping around making sure that 9-Volt is asleep, so he has to pause his game and pretend he’s sleeping when his mom sneaks up on him. 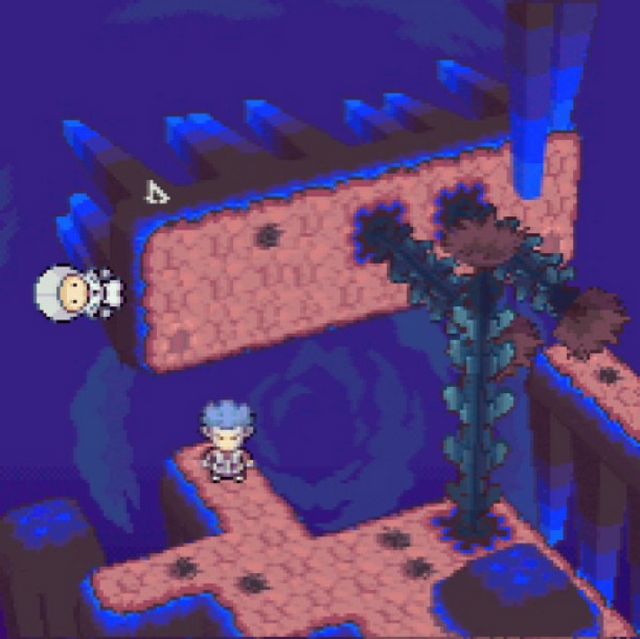 The bottom screen is exactly the game 9-Volt is playing, but the top screen is his surroundings, which you have to pay attention to or else he might get caught in the act of playing video games after his bedtime. This game is very reminiscent of real life. 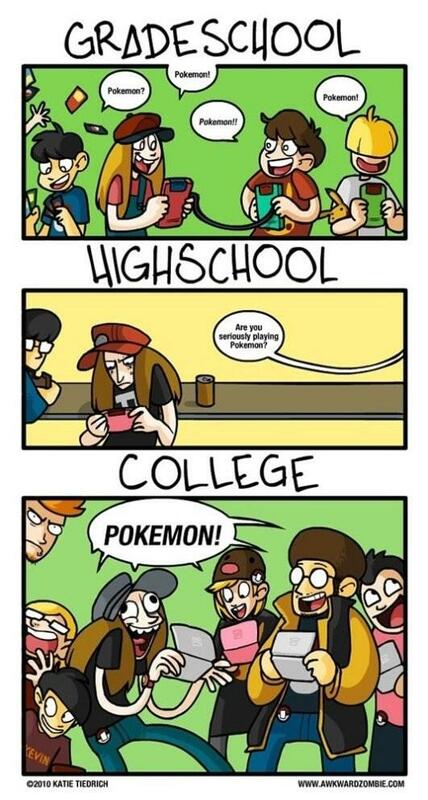 I remember when I was 8 and I was excited about getting to the next town (Vermilion City) in Pokémon Yellow. 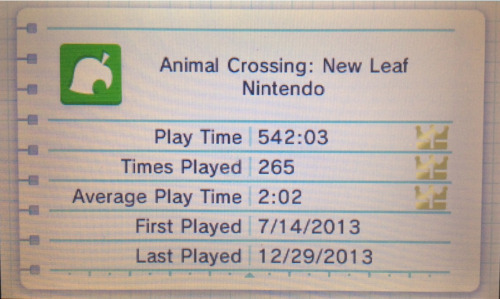 I secretly played a bit longer than I was supposed to and saved once I got to the new city and heard its music. 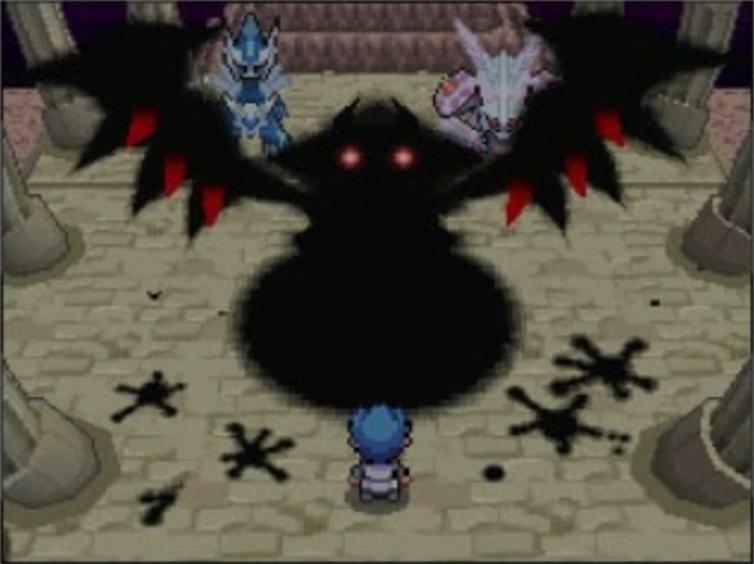 Similarly, I think that at one point I was playing this Gamer minigame at 1 AM, so in a way, I was both avoiding 9-Volts Mom, and trying not to wake up my real parents, so it was pretty suspenseful. We heard you like games, so we put a game in your game so you can game while you game. 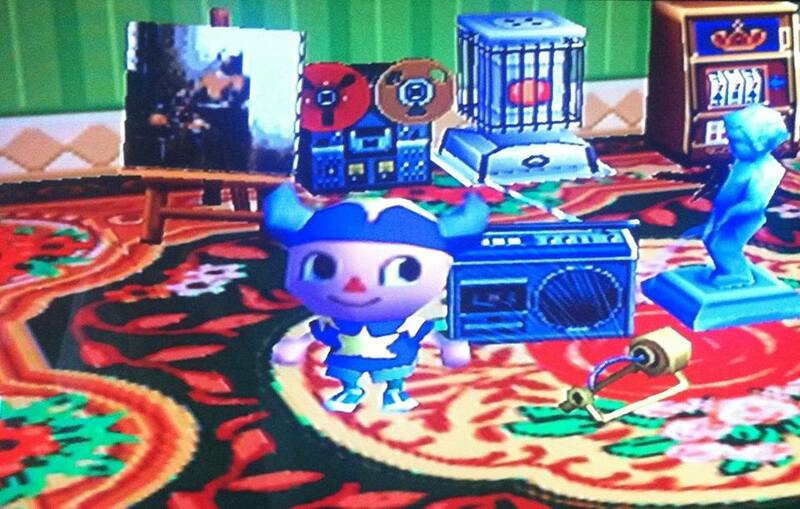 In later modes of Gamer, 16-Volt can play the game during the daytime. You can focus on just playing the Microgame, but even in the relative safety of daylight, paranoia can still set in. 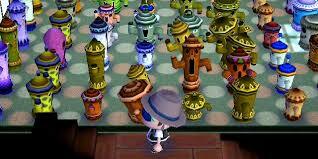 Design is an interesting but not very fun minigame. You are supposed to be designing a robot, so using the touch screen you are given certain tasks to draw lines of specific lengths, draw corners with specific angles, and draw perfect circles with specific diameters. It’s pretty hard, but if you put your mind to it, there are ways to make educated guesses. Ashley is a minigame in which you must escape a book by flying around on a magic broom. 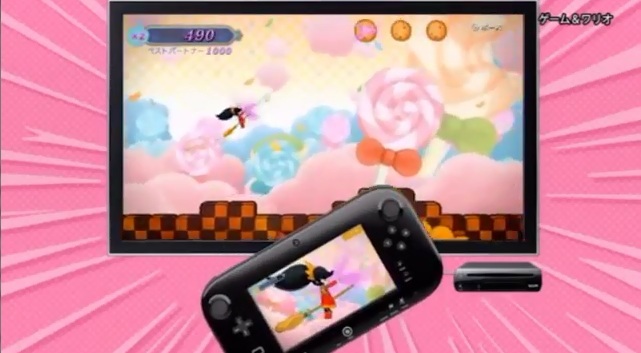 You control the angle of her broom using the Gamepad’s tilt controls, and there’s also buttons that let you fly in a loop. You might also shoot at things although I can’t completely remember. Once you complete the 3 stages, you’re done. Taxi is an interesting minigame. 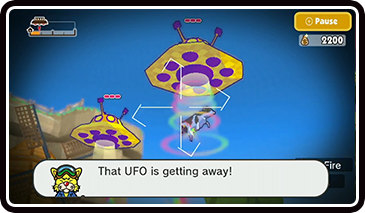 The premise is that you are driving around using the gamepad picking up and dropping off passengers, and then aliens attack. 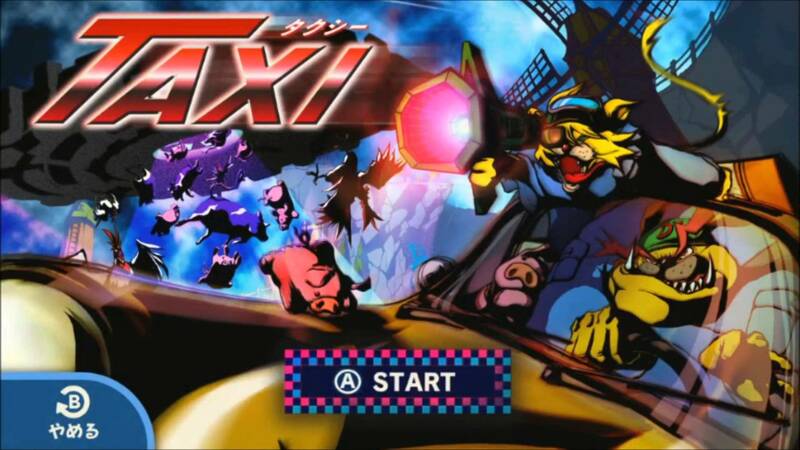 The cool part is that the Gamepad shows a first person perspective of the taxi driver while the TV shows a view of the entire game world with things happening as the taxi is driving through it. There are 3 stages, and they all end with some time based objective to add suspense. 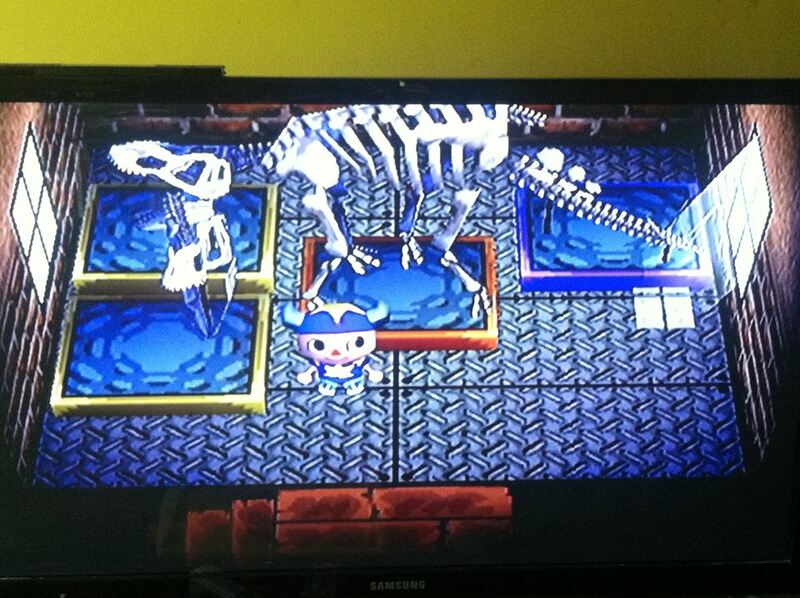 I liked this minigame a lot because of the differentiated perspectives given to the player. I feel like differentiated perspective like this is something games could use more than they already do for the sake of more completely immersing players into the game world and making games feel different from movies. 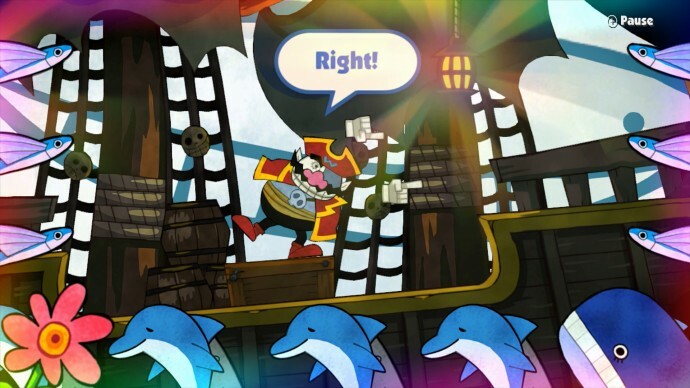 Pirate is the last minigame before the credits of the game’s main story. 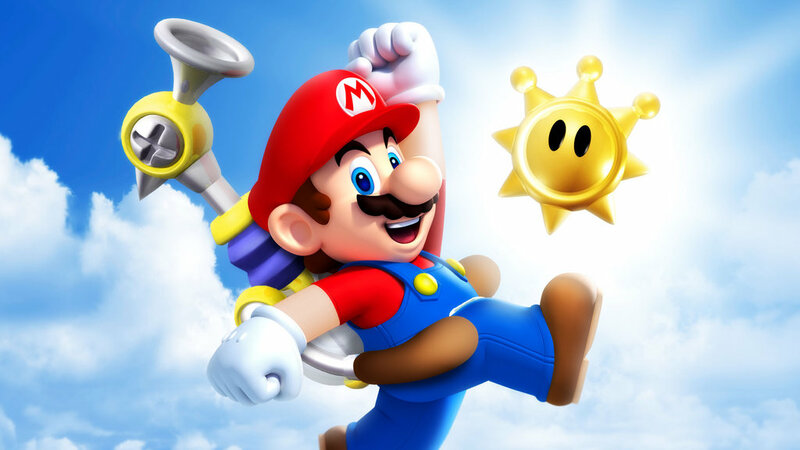 In it you use tilt controls to block projectiles being shot at you by captain Wario. It’s a pretty fun rhythm game fit to be the final boss of Game and Wario if you’re only playing through the story once. Of course I like playing WarioWare games well beyond the end credits, so I wasn’t done until I essentially completed all of the extra challenges in each of the minigames. 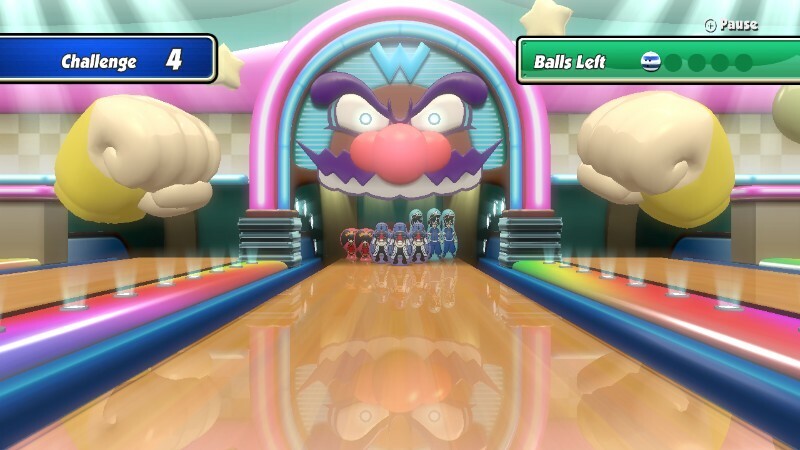 Bowling is interesting in Game and Wario. 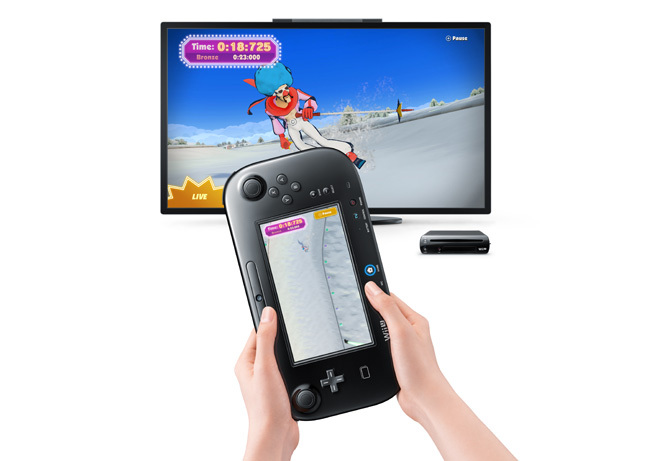 To play, you hold the Gamepad sideways and throw the ball by grabbing and sliding it using the touch screen. 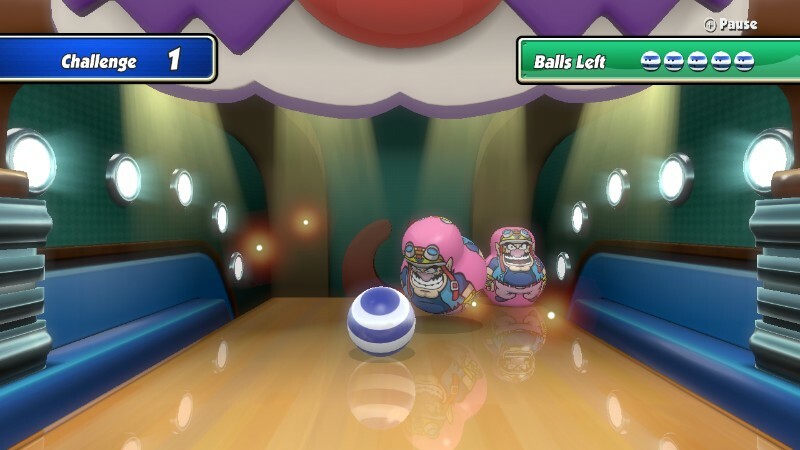 After you throw it, you can magically influence the direction the ball’s path by using the Gamepad’s tilt controls as the ball approaches the pins. 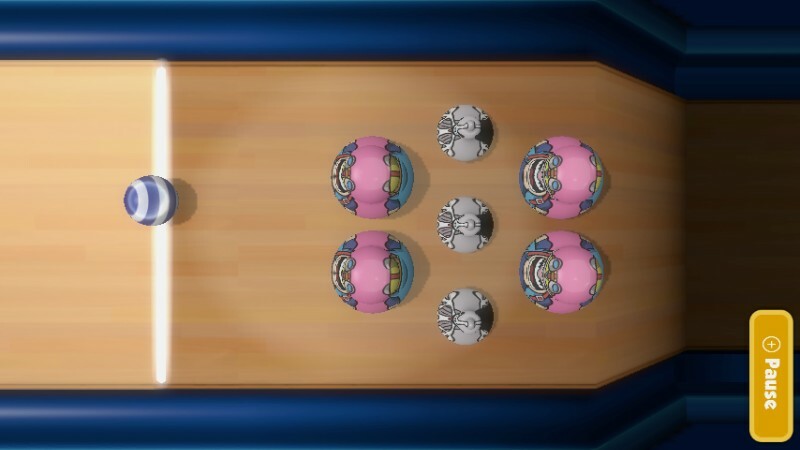 The goal of the game is to always get strikes, and because the pins have weird sizes based on the characters in the game, the strategy for each pin setup is different. 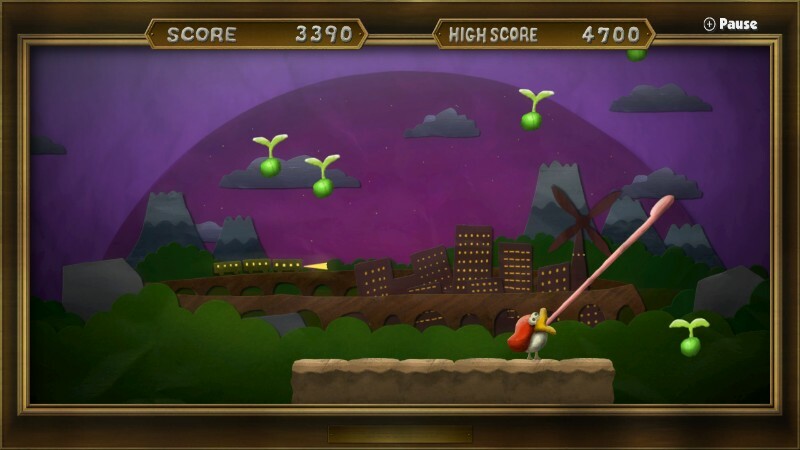 It quickly turns from a regular bowling game to one heavily reliant on trick shots. There are a few rounds of this, and strikes get pretty difficult to perform by the end. 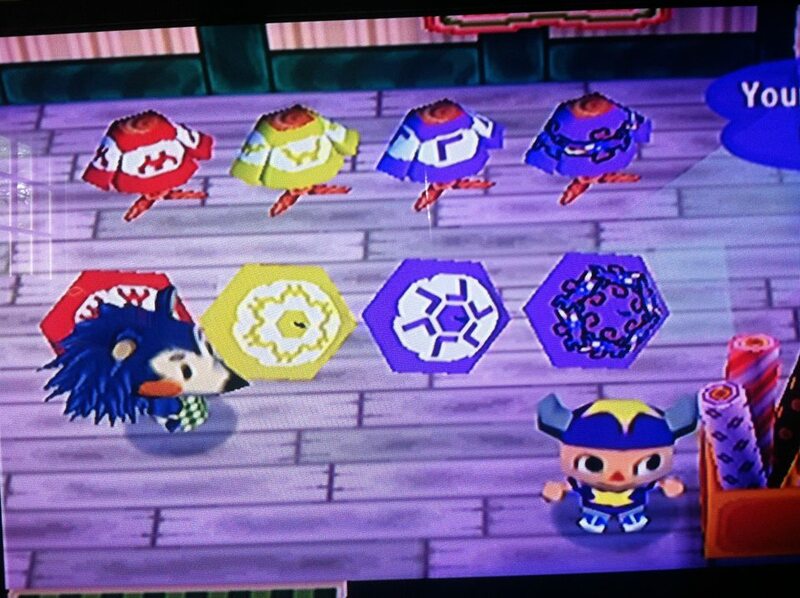 I’d say this is probably the hardest minigame in Game and Wario. 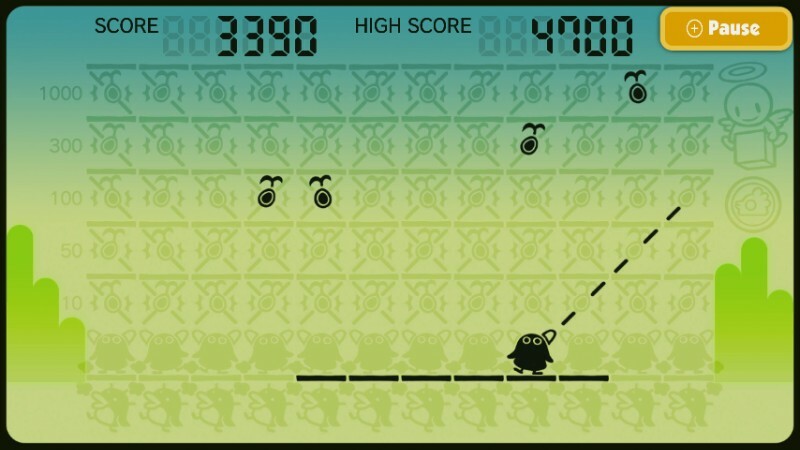 Bird is the final single player minigame in Game and Wario. 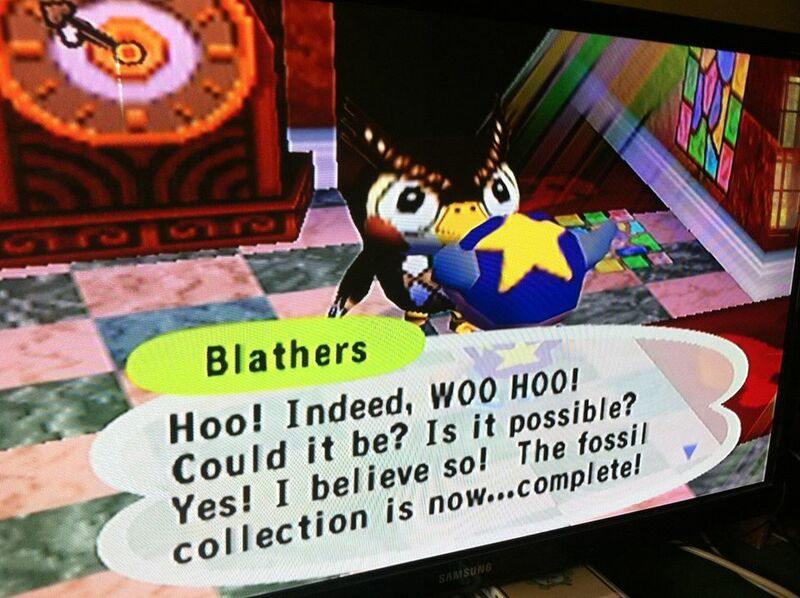 The main character is a bird with a diagonal tongue that often makes appearances in WarioWare games, usually as an arcade style minigame that you unlock near or at the very end of the game. 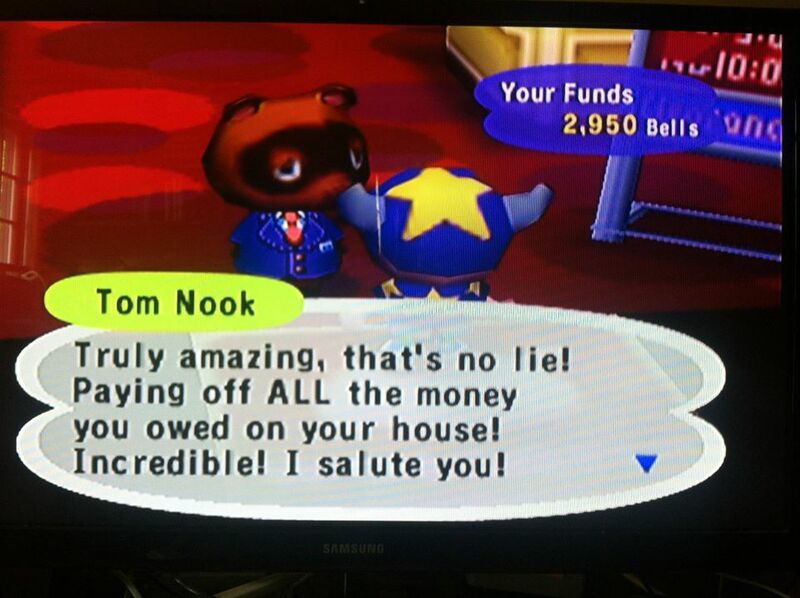 This game is particularly interesting this time in how it might get people to think more like game designers. 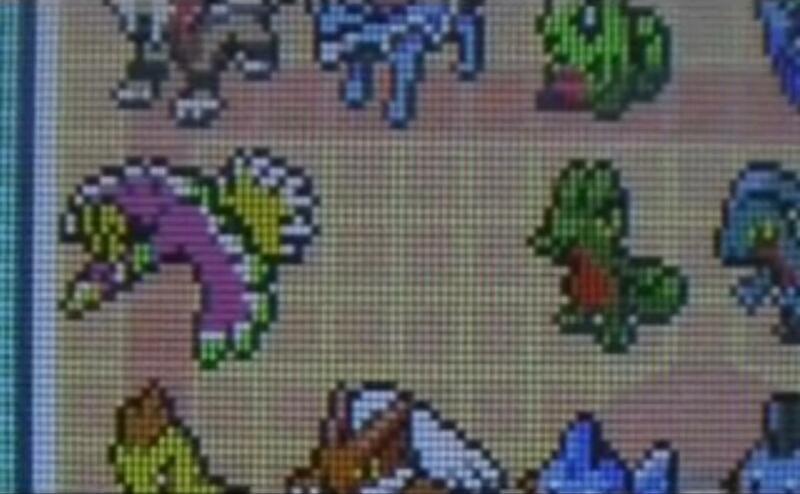 The game itself isn’t that interesting, but what is is that the top screen and the bottom screen display the same thing using very different graphical styles. 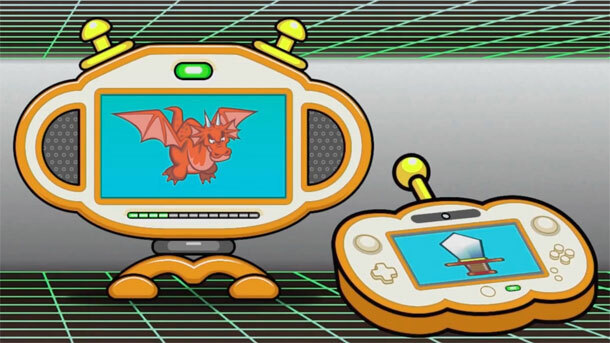 The TV screen shows the game in high definition graphics while the Gamepad shows the game in the style of old Game and Watch games. Both screens are equally valid. You can play the game using either one of the screens and completely ignore the other one. 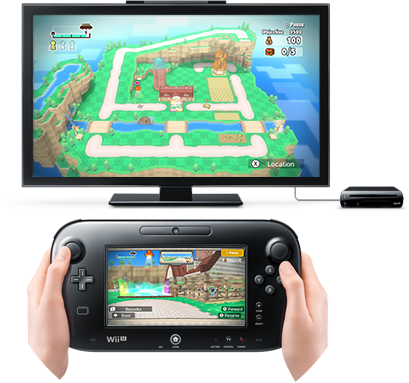 The difference is that while the TV’s view of the game is pretty, the Gamepad’s view shows us the bare bones of how the game works. 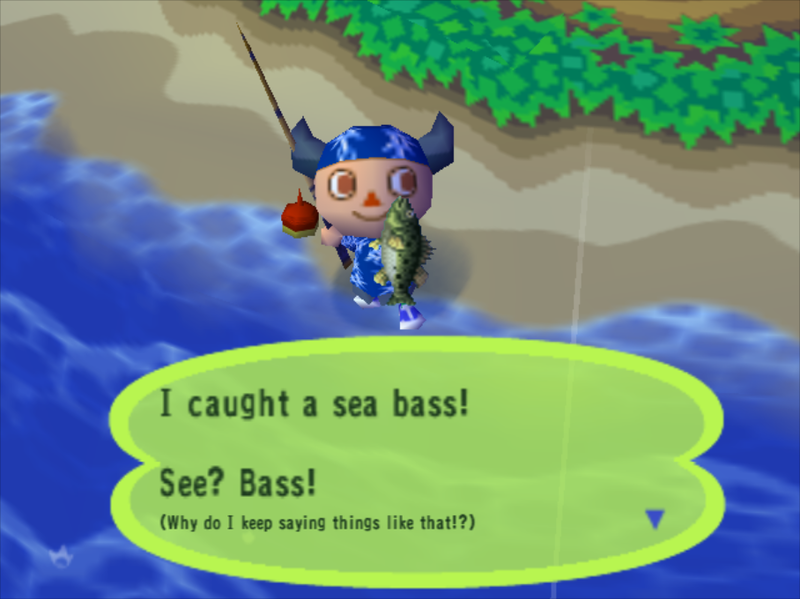 It demonstrates how a game can have exactly the same gameplay but different graphics, which offers evidence in support of the opinion that for video games, graphics don’t matter as much as the gameplay. There are a few Multiplayer minigames which I played briefly. The first of which was Disco. 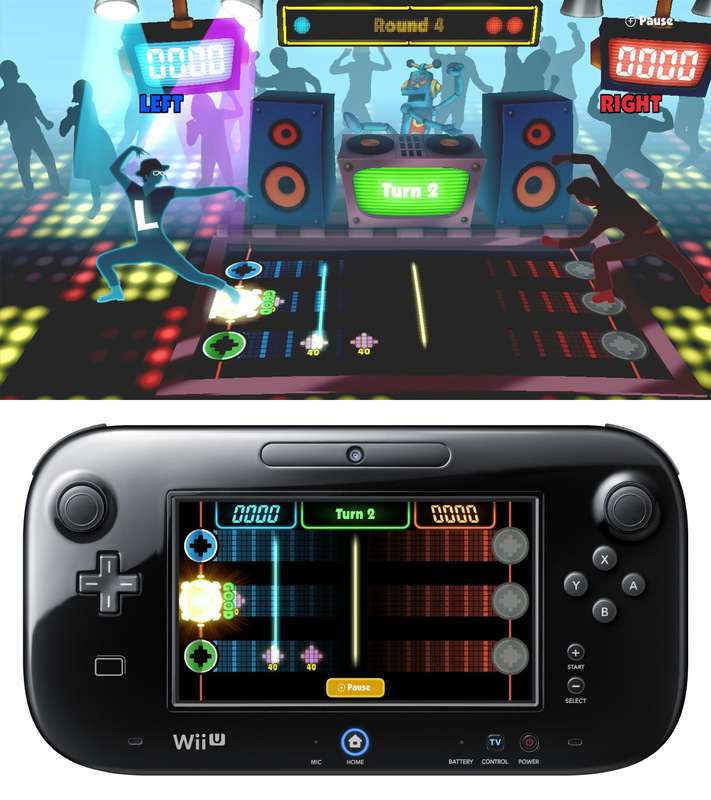 Disco uses the Gamepad touchscreen and is pretty similar to guitar hero. One player makes a sequence of notes to the beat and the other player has to match it, then the roles are reversed. Whoever screws up the least wins. I’m pretty good at it. 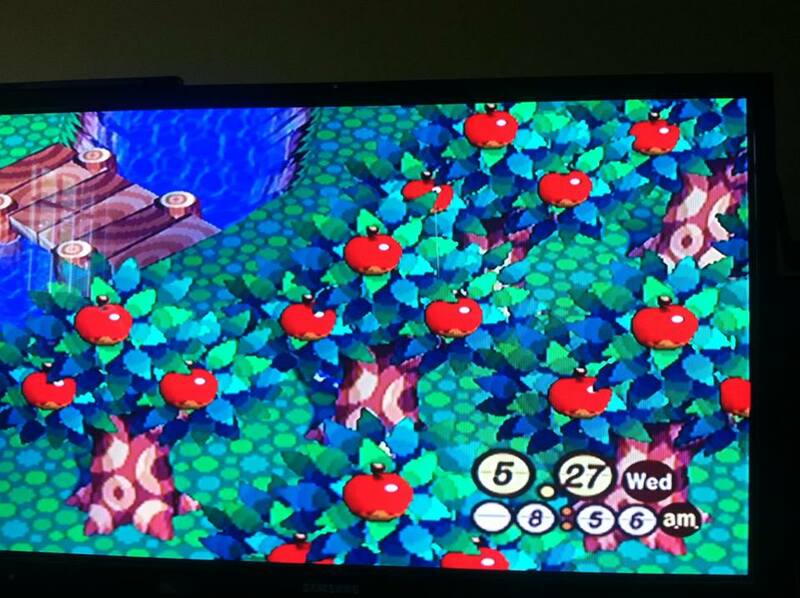 Fruit is a game most similar to multiplayer Assassin’s Creed. 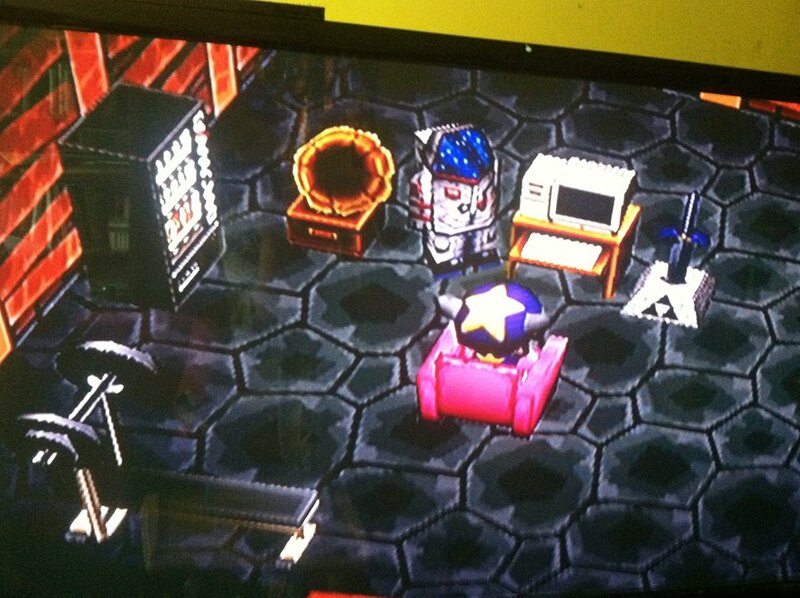 There is one thief with the Gamepad and one or more detectives watching the TV. 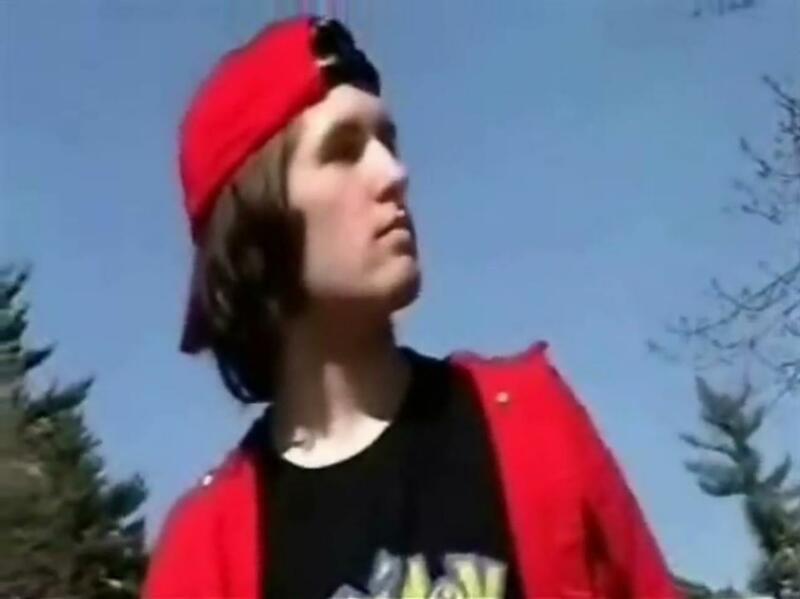 The thief chooses his appearance and walks out into a crowd of people. Then you’re supposed to blend in with the crowd so that the detectives don’t know which one you are, but you also have to steal fruit while you are walking around. It’s intense, and I’m not very good at it as the thief or even as a detective. 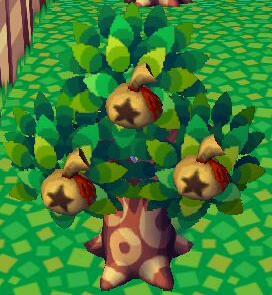 It’s a creative minigame though, so I like it. Islands is a game most similar to Bocce. The idea is to throw creatures called Fronks onto and island trying to land them on areas worth the most amount of points, but like Bocce, your guys can be knocked away by the actions of other guys, losing you points. It has a few scenarios, each one more dangerous than the last, but I’m terrible at all of them except for the first one. 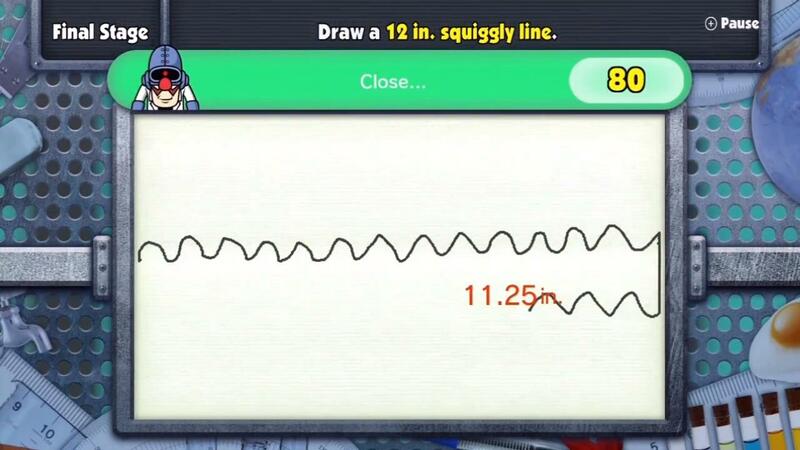 Sketch is essentially a digital version of Pictionary. 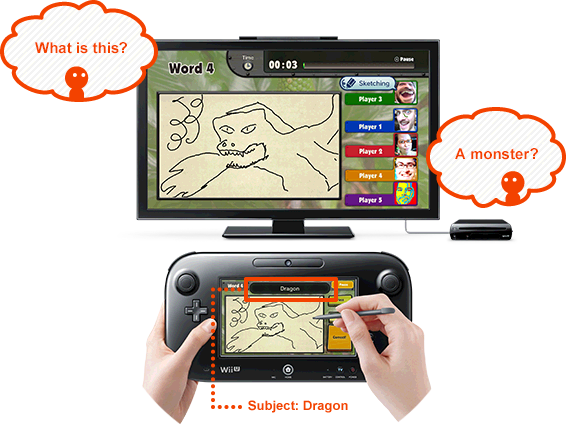 The person with the Gamepad has a prompt and has to draw a picture of an object or concept or something without writing words or saying anything and the other people in the room can guess what it is, since the drawing appears on the TV without the prompt. If someone guesses correctly, you tap a button on the screen and it gives you a new prompt. 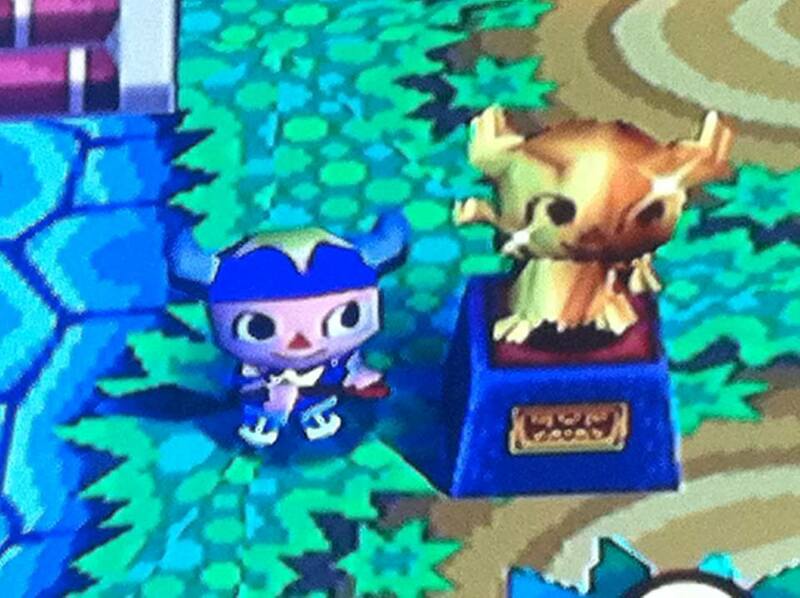 This was by far the best multiplayer minigame in Game and Wario in my opinion. I like Pictionary. 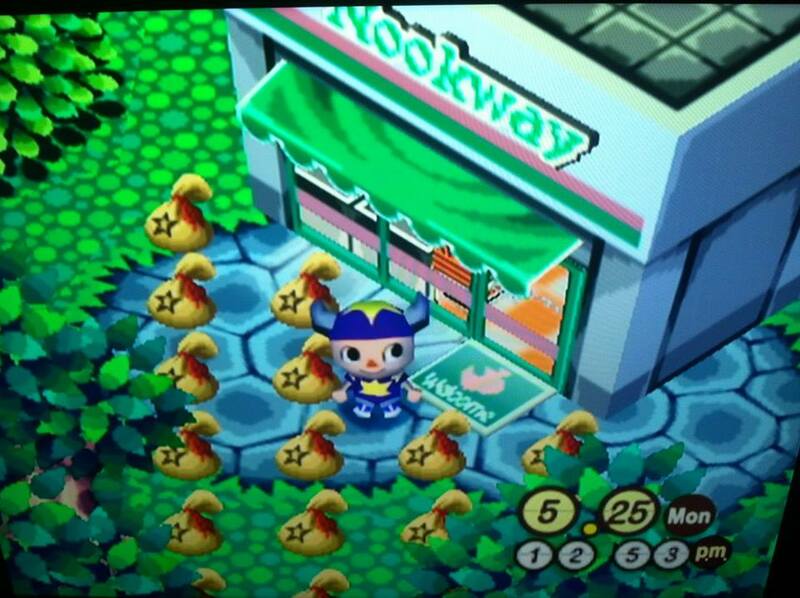 There are collectible doodads in this game that you can win from a chicken machine, but I didn’t get them all. The ones I got though were pretty funny. 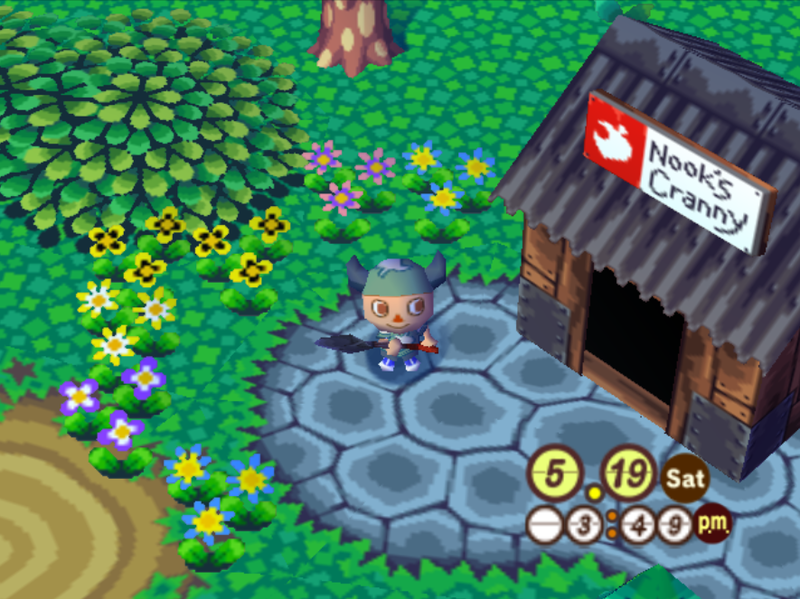 I like the doodads because they offer tiny experiences that could never be justifiably sold in any way except to be hidden in a larger game. 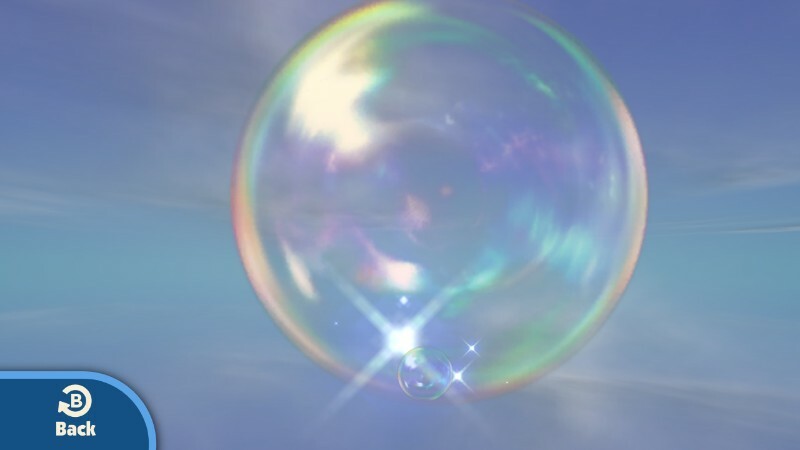 One doodad of many; I think this one was a bubble blowing simulator. 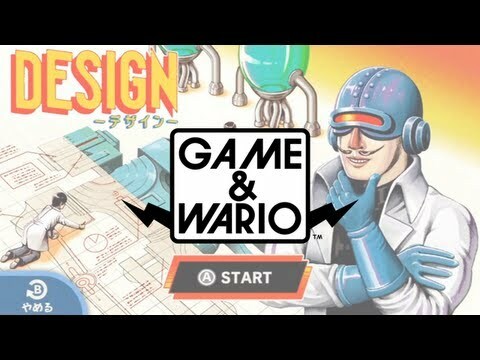 And that’s pretty much all there is to Game and Wario. 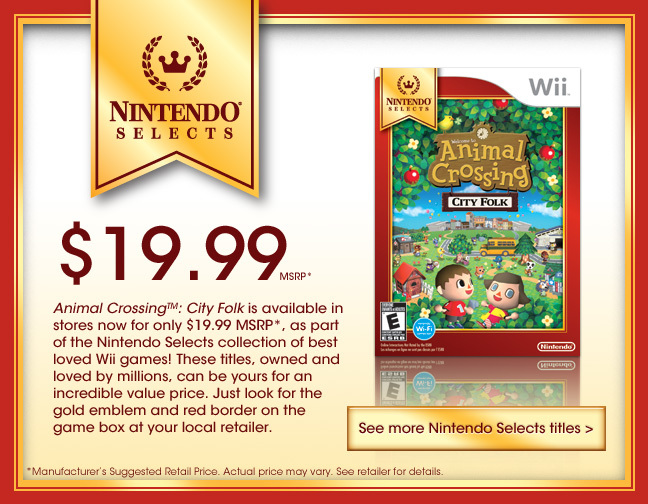 It doesn’t have very good reviews, but I’d argue that it has its value and if you can find it for $10 or less, it might be worth playing.